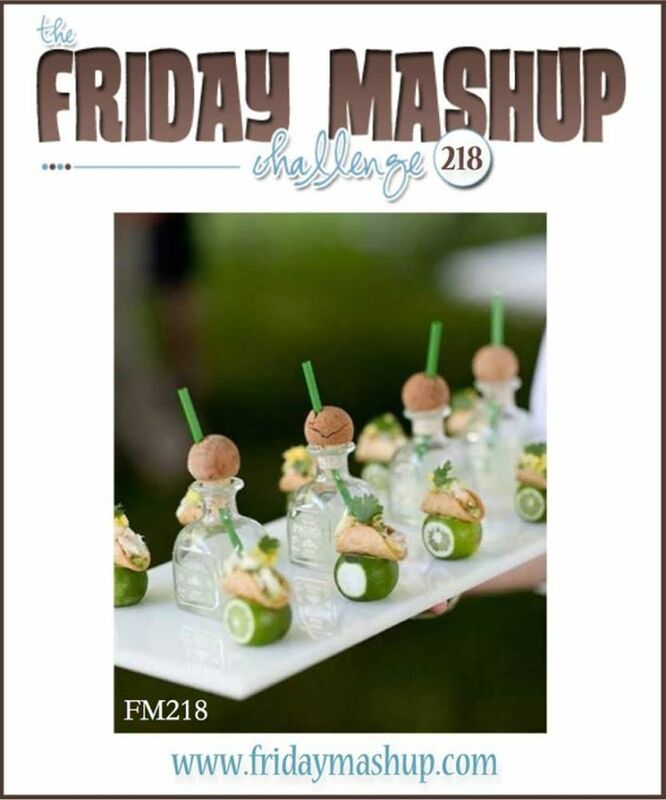 This week at The Friday Mashup Holly is our hostess and she wants to see projects with food and/or drink on them, plus use markers to color. I don't really have sets for food and drink so I pulled out a SU set that was recently retired, Perfect Blend. I think I'm the only person I know who doesn't drink coffee, but I do like a big cup of hot chocolate! I made my card base with the new thick Whisper White card stock and then used stamps from the Gorgeous Grunge set to create my background. 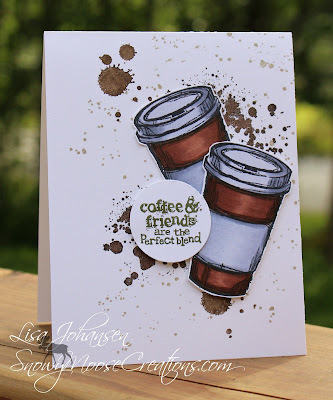 I used the Early Espresso and Crumb Cake markers to color on the stamp directly. My 2 cups were stamped in Memento Tuxedo Black and then I used Copic Markers to color them. The sentiment was colored with a Mossy Meadow marker and popped up. One of the cups is also popped up with dimensionals. A nice, simple card! 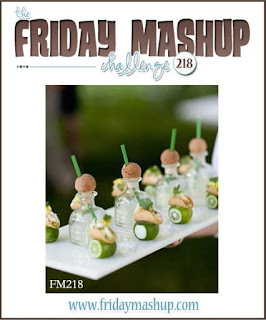 Make sure to head over to The Friday Mashup blog to see what the rest of the DT came up with and then play along with us! Create a project with "Food/Drink on it". Create a project "using your Markers to color". or Mash it Up and create a "Food/Drink themed project colored with Markers". Cute card and sentiment and you are not alone in not liking coffee. I am a tea drinker myself and like having a cup of hot chocolate every once in a while. I see your temperature is warmer there than it is here. We are only at 67 today and we finally got a bit of rain. It has been a very hot and dry summer. By the end of June it looked more like Aug. But not complaining we have enjoyed the sunshine.